We're extremely pleased to announce that our SE Hawthorne location has just gone 100% electric. We have a number of hybrid and electric vehicles in our fleet and are striving to convert the entire fleet over. 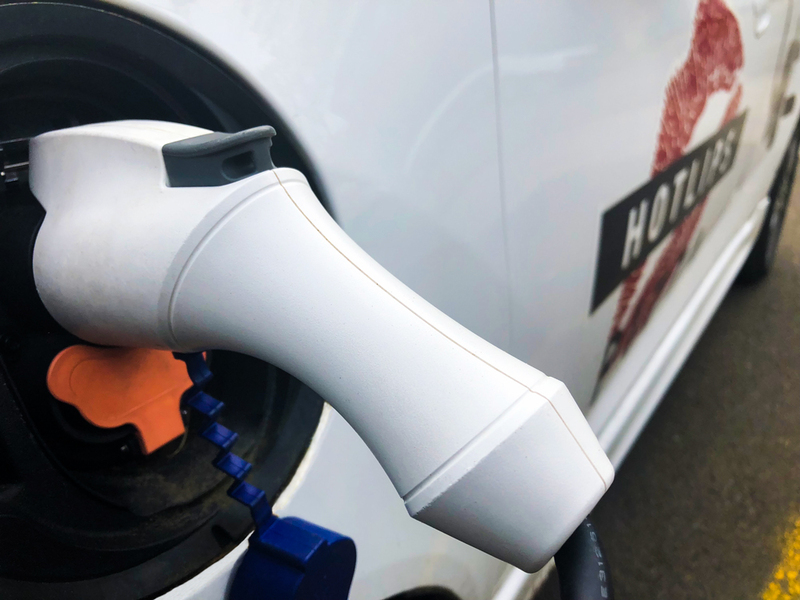 HOTLIPS was first to the plate adopting electric, Smart and hybrid cars when they first appeared on the scene. All these years later we’re still driving them, and loving them. It’s by far the best advertising we’ve ever done – so good that many of our competitors have added tiny cars to their fleets. It’s resource conservation so we love to share; that’s core to our character. Everyone should do what’s best for the environment, so as we learn we teach, sharing what we’ve figured out, with our peeps, lots of students and business associates. We’ll share with pretty much anyone who asks.